In 1998, with the dedicated support of OARS president & founder, George Wendt, Rivers Fiji set up low-impact commercial whitewater rafting trips on the Upper Navua and 'Luva Rivers in Fiji, and they worked with native landholders to establish a conservation area to preserve a segment of the Fijian highlands. In the fall of 2000, Rivers Fiji signed the final papers for a 25-year lease of the land extending 200 meters on either side of the Upper Navua River to establish the Upper Navua Conservation Area in Fiji. 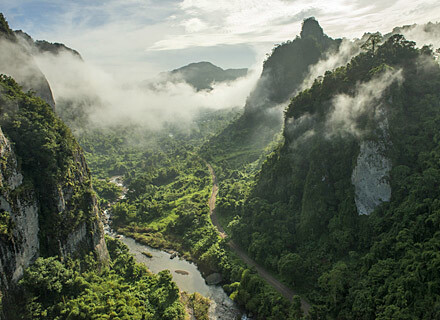 The lease precludes logging, road building or mining in the fragile river corridor and contributes to the ecological preservation of the area and our long-term commitment to the integrity of the Upper Navua Gorge. All guides are native Fijians, hired locally with a stake in the long-term sustainability of the region. To date, the indigenous community has earned more than $1,000,000 through lease payments, trip fees, guide pay and related financial contributions. Additionally, each year Rivers Fiji organizes a group of doctors and engineers from the U.S. to offer free medical clinics and to build facilities to improve water quality and the company sponsors a number of river trips for youth from local villages. The Upper Navua River represents Fiji’s third largest freshwater drainage and contains over 50 waterfalls in the dry season (May – October) and over 100 in the wet season (November – April). All land in and around the UNCA is owned by traditional land-owning clans, known as mataqalis. Nine mataqalis who live either in Nabukelevu Village, or in one of several villages along the coastal side of Serua Province own land in and around the UNCA. On the Upper Navua River partner communities—including the nine mataqalis (landowning clans) and 2 villages—receive FJD$3 per person who rafts with Rivers Fiji for a total of $33 per paddler. The river acts as a source of protein as well as transport system for local villages in proximity to the UNCA. While Rivers Fiji currently has a lease to protect the Upper Navua Conservation Area (UNCA) until 2025, and a 99-year lease is already in the works for when the original agreement expires, there are still ongoing threats to the area. In the end, the fate of the UNCA is largely in the hands of future generations. According to Dr. Kelly Bricker, co-founder of Rivers Fiji, the health of the entire river corridor is continuously at risk because of illegal logging within the conservation area, as well as gravel mining operations on lower stretches of the river. But it’s not only the health of Fiji’s third largest freshwater resource that’s at stake. Bricker says there are also concerns about increased development such as a proposed hydroelectric dam and mining projects in the future. So, like many conservation battles, and despite small victories along the way, the fight to protect the Upper Navua Conservation Area will continue. Native Coloradan Pete McBride has spent almost two decades studying the world with a camera. A self-taught, award-winning photographer, writer and filmmaker, he has traveled on assignment to over 70 countries for the publications of the National Geographic Society, Smithsonian, Outside, Esquire, Stern and companies like Patagonia, Microsoft, The Nature Conservancy and more. After a decade working abroad and completing a journalism fellowship at Stanford, Pete decided to focus his cameras closer to home on a subject closer to his heart. Combining his passion for aviation and his belief in conservation, he spent over four years documenting his local river — the Colorado. This journey culminated in a coffee table book: “The Colorado River: Flowing Through Conflict”, and a series of short films “Chasing Water” “I AM RED”. He now focuses his lenses and energies on watershed issues and related stories around the world to raise awareness about water challenges. His work as a photographer and filmmaker have garnered awards from Pictures of the Year International to the Banff Mountain Festival and many more. American Photo Magazine named Pete as one of the top five water photographers in the nation and In 2014 after completing a story following the length of India’s Ganges River, The National Geographic Society named McBride a “freshwater hero”. When not lost on assignment or doing public speaking, you can find McBride exploring the creeks and mountains around Colorado, or practicing mandolin on his back porch in Basalt, Colorado. Read Pete’s article about his trip to Fiji on the O.A.R.S. blog and you can see more of Pete’s work at: www.petemcbride.com. 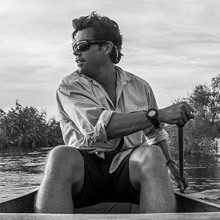 ANGELS CAMP, CA, October 2, 2014 – Veteran river outfitter and ecotourism operator OARS announces a new short film, River of Eden, by filmmaker Pete McBride. 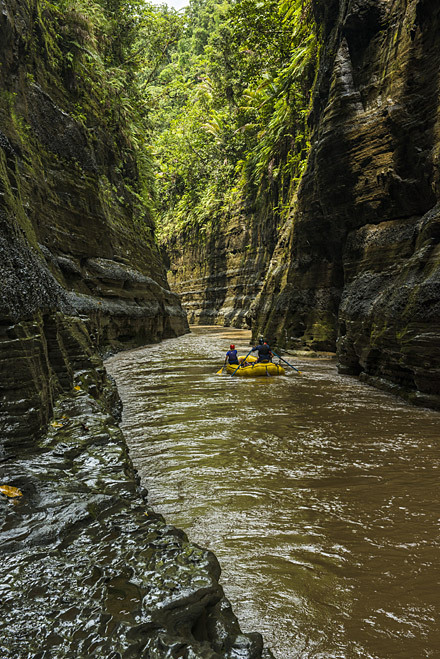 For the film, McBride traveled to Fiji’s main island of Viti Levu and into the highlands to explore the Upper Navua River, one of the only protected rivers in the South Pacific. The 5-minute movie tells the story of a conservation initiative undertaken by a small rafting company, two villages, nine mataqalis (land-owning clans), a logging company and a government entity. McBride sets out to discover why the locals said “no” to easy money from resource extraction, and how they turned to tourism to fund a one-of-a-kind conservation area. But, as the people of the Fijian highlands now know, conservation is a fight that’s never over, and new threats from development and resource extraction are ongoing. The film was recently selected as a finalist for the 2014 Banff Mountain Film Festival. In its 39th year, the Banff Mountain Film and Book Festival is one of the most prestigious film festivals in the world. Presented by National Geographic, The North Face and Parks Canada, it takes place at The Banff Centre in Banff, Alberta, Canada November 1-9, 2014. "Over the last several years, Pete McBride has carved out a space on the landscape of documentary filmmaking where art, conservation, and the beauty of nature meet and flow together. River of Eden offers a glimpse of what McBride does best—which is to create, through images, words, and music, a confluence of ideas that is provocative, inspiring, and deeply moving." — Kevin Fedarko, author of The Emerald Mile: The Epic Story of the Fastest Ride in History Through the Heart of the Grand Canyon. Grit & Thistle Film Co.